Chell, the player's character in Portal, was never really the star of the game. You barely even saw what she looked like. Seems that approach is out the window for Portal 2. 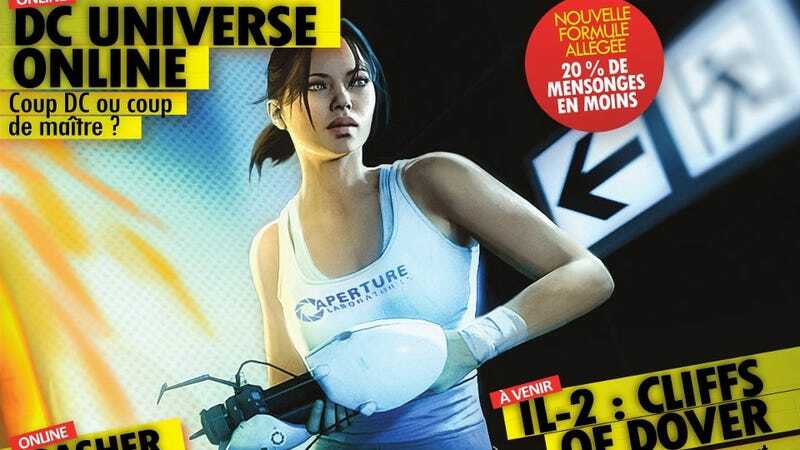 French PC mag Canard features Chell on the cover of its latest issue, and the dorky, jumpsuit-clad lass with the funny robot chicken leg boots is looking a lot less dorky. She now looks more like Ripley with a portal gun. Which, when you put it that way, is a badass combination. You can see the full cover below. Portal 2 will be out on PC, Mac, PS3 and Xbox 360 in April.